Last week New Balance released their freshest kicks, the Fresh Foam LAZR and it’s a super cool trainer that will take you from the road to just about any where else you want to go! I haven’t been this excited for a trainer in a long time! And the hubs love his too! What makes them amazing you ask? Besides their obvious good looks, Fresh Foam LAZR combines advanced performance technology and functional design with New Balance’s key innovative laser cut midsole and cushioning. If you take a closer look at the sides of the soles and underneath, you’ll see a “honeycomb” design. Those are the laser-engraved flex grooves which help to improve the way your sole functions on the road. The soles also feature a nice height to lessen the impact with the road and they are incredibly light weight. 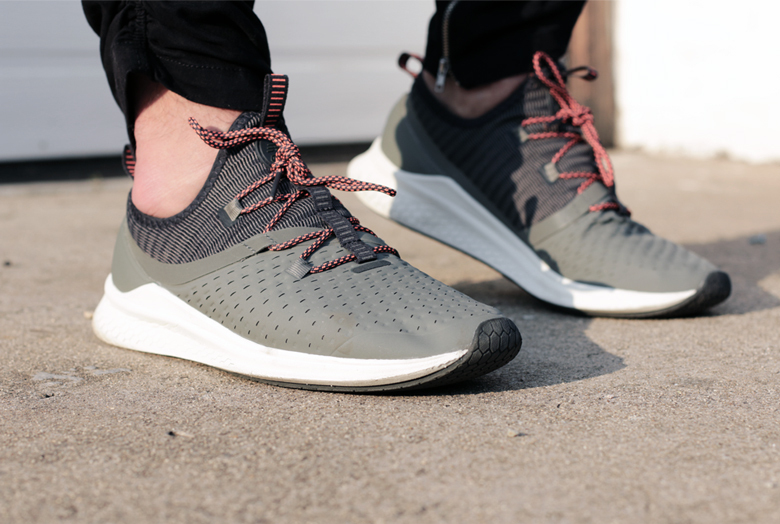 The uppers are finished in New Balance’s “Hyposkin” texture, which give them a premium look (and feel), but the perforated skin design lets you enjoy more natural movement. 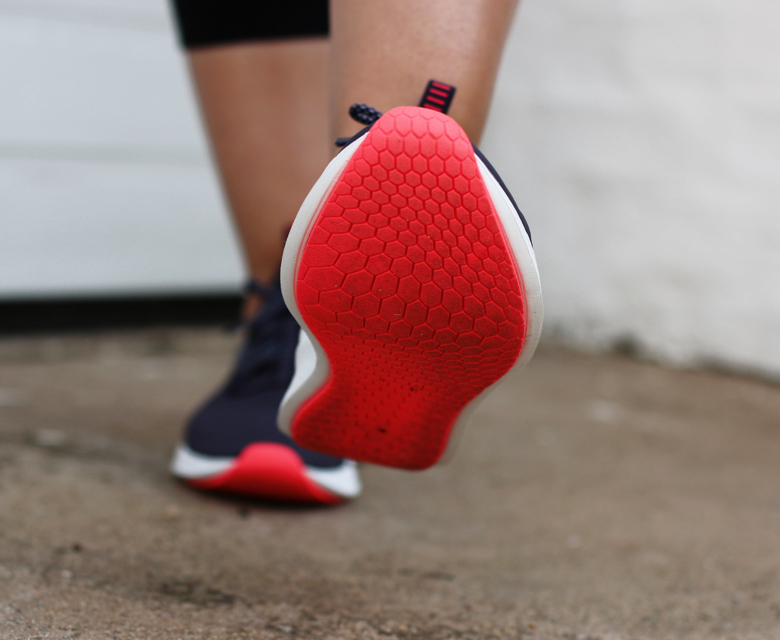 In other words, the shoe moves as you do so you can focus on your workout! The first day hubby wore his, he had them on for a full 15 hours! Usually his shoes come off (at the door) when we gets home from work, but he says the LAZR’s are so comfortable and light, that he didn’t feel the need to take them off as soon as he got home. He also loves the functional tabs that allow him to put his shoes on with ease. Usually he destroys the backs of his shoes when he’s too lazy to use a shoe horn, but he could easily slide his foot into his new Fresh Foam LAZR’s and then finish the process with the help of the tabs. They also look really good as part of the design. Speaking of design, both the mens and ladies come with a second set of gray laces so you can switch them up. I do however, really love the orange detail on hubby’s pair of LAZR’s. What I love the most about mine is that they are comfortable and not overly branded and sporty looking, ya know what I mean? They are technically running shoes, but they could double up as trendy athlesiure shoes without looking like you’re about to run the Comrades. I also love, love, love that they are toungue-less (somehow my tongues always end up sliding to the side of my foot which I hate) and the bootie construction ankle feels more like a supportive sock around the ankle, rather than a big chunk of shoe. Another bonus, your secret socks don’t get all bunched up at the heel. 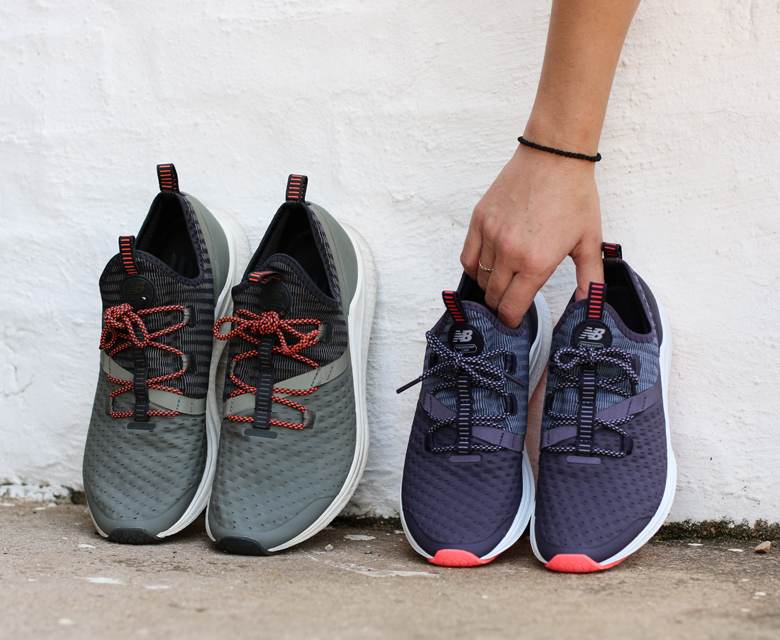 The mens and ladies Fresh Foam LAZR trainers are much the same in terms of design, and each come in two different colourways. Hubby has the Military Foliage Green with Phantom & Sea Salt and mine are in the shade Elderberry with Daybreak & White. New Balance Fresh Foam LAZR launched internationally on the 15th February 2018 and is available right now from Totalsports Online. 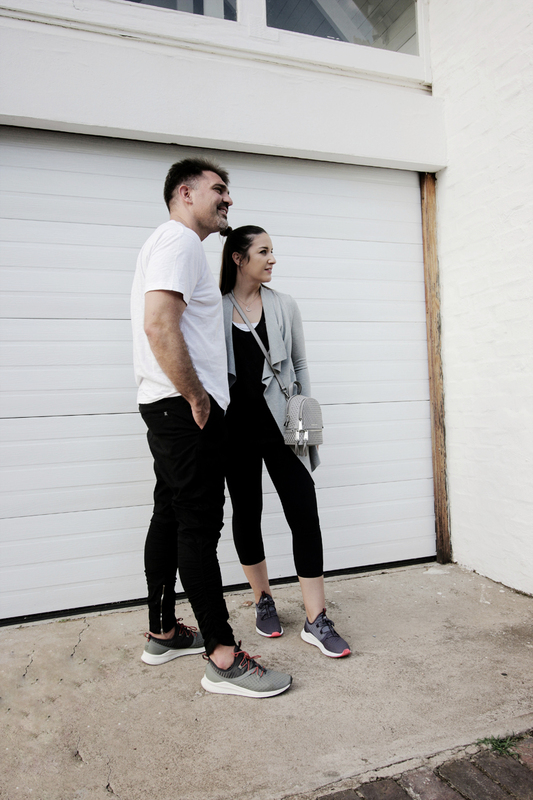 If you’re a sneaker freak, you could also be one of the 11 South African’s to own a pair of exclusive (and limited) Fresh Foam LAZR Elite sneakers too. Fresh Foam LAZR Elite is much the same shoe as the Fresh Foam LAZR but comes in a limited edition, all white with gold detailing. 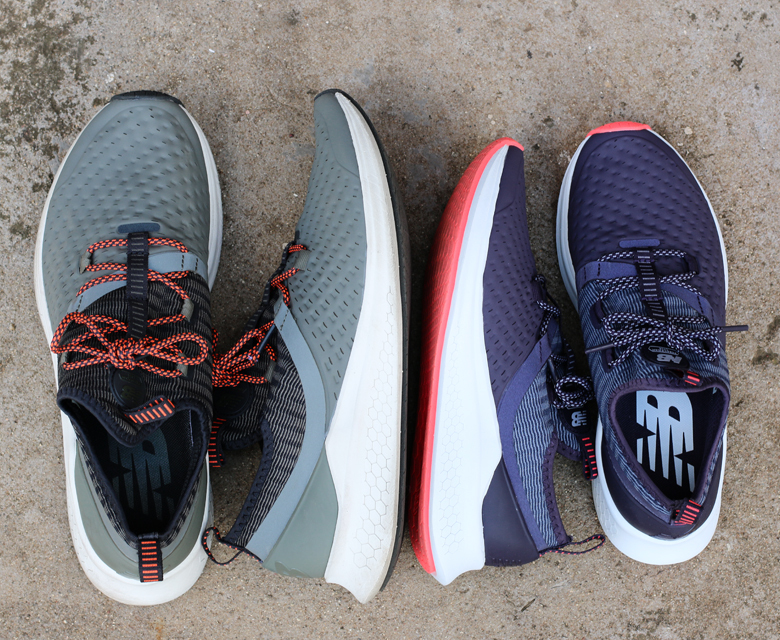 All New Balance Fresh Foam LAZR colourways, including Elite are retailing at R1799, coming in at a really good price point for such a good looking, well constructed trainer. Do you love, or do you love?